VSD Viwer Pro allows you to view the contents of Visio VSD, VSS, VDX, VSX, VSDX, and VSSX email attachments. VSD Viewer Pro converts Microsoft Visio Stencil and Drawing documents into PDF and a wide variety of image formats. Drag and drop files into VSD Viewer Pro, or open them directly. 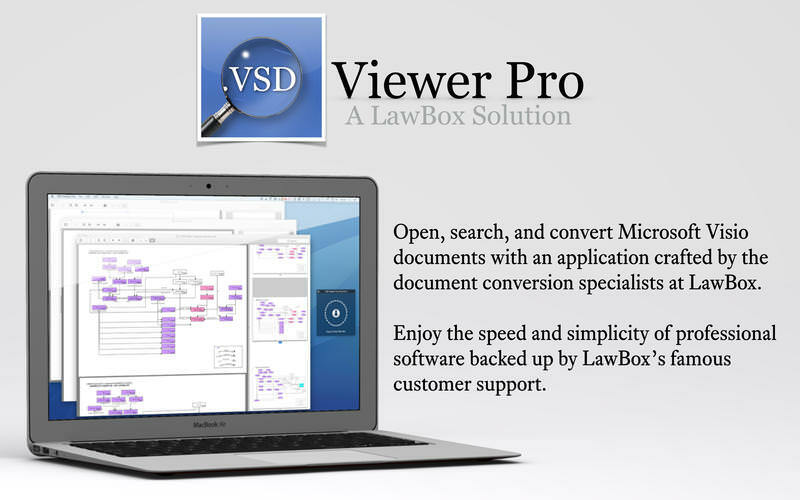 If you need more information please contact the developers of VSD Viewer Pro for Mac (LAWBOX), or check out their product website.